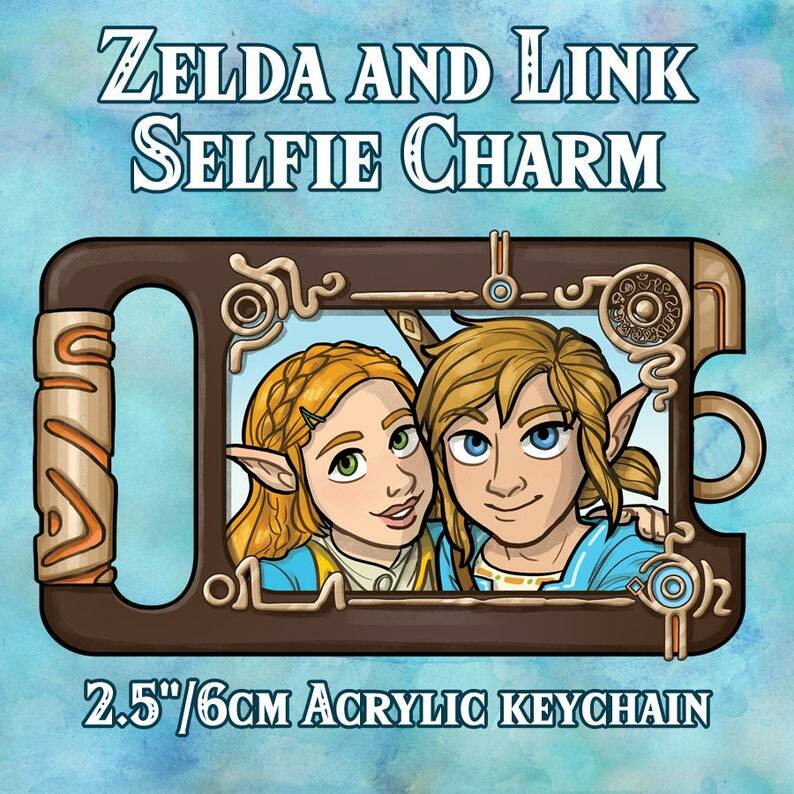 Link and the Princess Zelda are taking a selfie with the sheikah slate! The charm is approximately 2.5” at its widest point (not including keychain itself). The back side has the back of the sheikah slate.